Hallson have gained over many years the experience and expertise to offer customers an extensive range of LV distribution equipment that suits the customers requirement for the site that they are working on. Outdoor equipment: LV feeder pillars. Transformer connected equipment: Normally used outdoors, connected directly to the transformer without the need for cables. This equipment is all designed and manufactured by ourselves which gives us the flexibility to adapt the equipment to suit project requirements. This allows us to work with the customer to offer equipment that they require, not just offer our customers standard solutions that the customer has to adapt to. It also allows us to ensure that quality is maintained. TMA Range – Outdoor transformer mounted or connected single or multi-way ACB pillars. TMM Range – Outdoor transformer mounted or connected single or multi way MCCB pillars. TMS Range – Outdoor transformer mounted fuse switch pillars. TMF Range – Outdoor transformer mounted or connected fuse pillars fitted with either ‘J’ type fuse ways or DIN type fuse ways. GCP Range – Outdoor generator connection point. Plug in point for temporary standby generators. FS Range – Outdoor free standing feeder pillars including devices as required by the customer. G59 Range – Outdoor freestanding pillars for use in the renewables sector complete with G59 protection. RSP Range – Outdoor pillars to accommodate LV distribution equipment in the railway sector. Indoor LV switchboards – Cable connected or direct transformer connected switchboards with Forms of separation to Form 4 type 7. Transformer mounted or connected ACB cabinet either single of multi way. TMA range of cabinets are designed for use outdoors. They have a rear ‘F’ facing flange to enable them to be directly coupled to a BS ONAN distribution transformer having the corresponding LV flange. The range can be supplied in standard ACB ratings from 800A to 6300A. The single way units contain a three pole fixed pattern ACB with the manufacturers standard overcurrent protection unit. These single way units are designed to sit between the radiators of a standard BS ONAN distribution transformer. To accommodate site requirements for multiple feeds the TMA range of cabinets can be provided with multiple ACB’s. These units are also designed to connect to a standard BS oil filled distribution transformer and are provided with an extension trunk and adjustable legs to provide a complete transformer connected solution. As all specifications are not the same and some site require specific solutions we are able to provide engineered solutions if required to meet the customers needs. Such units could require metering, communications to building metering system, trip units including UEF or REF protection, inter-tripping with MV, specific protection requirements, system interlocks, special cable arrangements or top entry cabling. 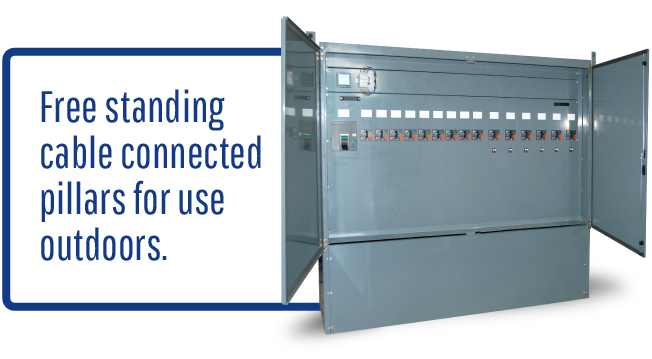 Transformer mounted or connected MCCB cabinet either single or multi way. 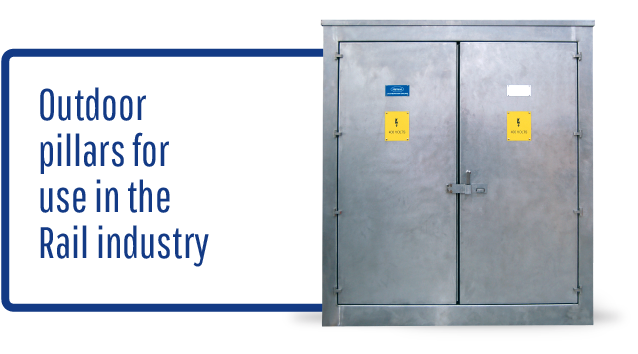 TMM range of cabinets are designed for outdoor use and have a rear ‘F’ facing (‘E’ facing for the smaller rated units) to enable them to be directly coupled to a BS oil filled distribution transformer having the corresponding LV flange. Single way TMM cabinets are available from 250A to 1600A. They are used to protect the transformer cable tails and are provided with a three pole fixed pattern MCCB with the manufacturers standard overcurrent protection unit. 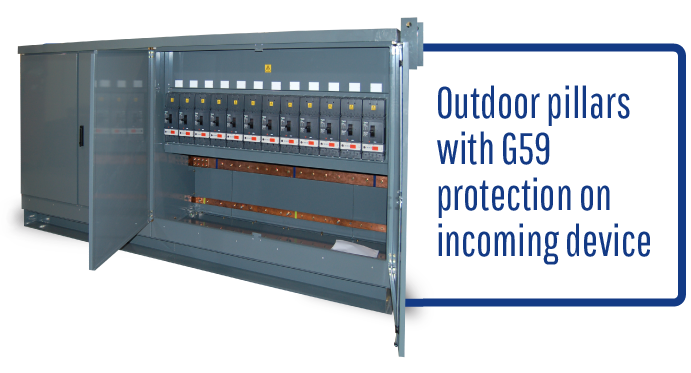 A range of TMM multi way cabinets are also available with either direct busbar connection to the transformer or alternatively with either an MCCB (800-1600A rated units) or ACB (2000-3200A rated units) located on the transformer incoming supply. Transformer mounted fuse switch cabinet. 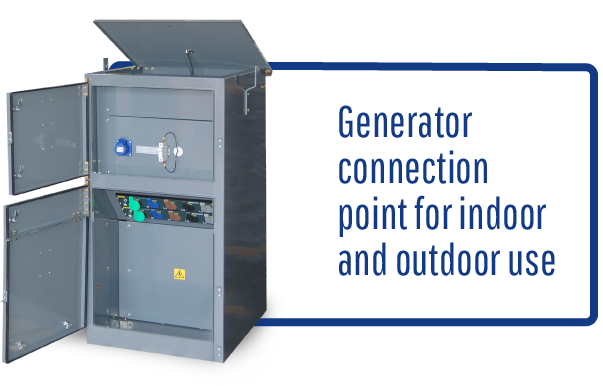 TMS cabinets are designed for outdoor use and have a rear ‘F’ facing (‘E’ facing for the smaller rated units) to enable them to be directly coupled to a BS oil filled distribution transformer having the corresponding LV flange. TMS cabinets are provided as single way units only and are available from 100A to 800A. They are used to protect the transformer cable tails and are provided with a three pole fixed pattern fuse switch, the fuse switch is provided with a door interlocked operating handle that is padlockable in the on and off position. Engineered solutions for this equipment can include metering, system interlocking, MV inter-tripping, DIN type fuse links or special cable arrangements. 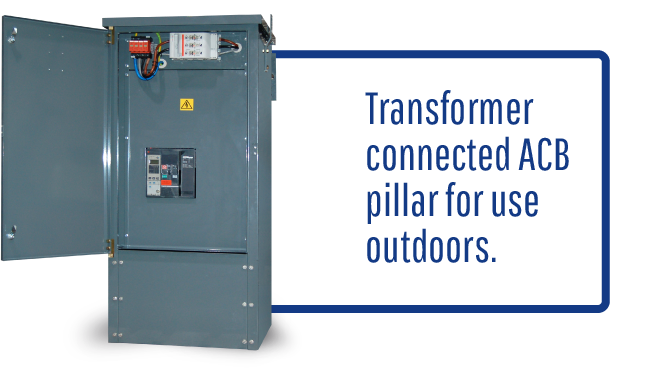 TMF cabinets are designed for outdoor use and have a rear ‘F’ facing to enable them to be directly coupled to a BS oil filled distribution transformer having the corresponding LV flange. The range of TMF cabinets are available in a range of ratings from 800-2500A. All units are provided with an incoming shielded off load isolator and are fitted with either 400A (JW3ST) or 630A (JW4ST) outgoing BS88 type 5 ‘J’ type fuse ways. Engineered solutions for this equipment can include metering, generator supplies, insulated bridges to ensure IP2X operator shielding when a fuse is not fitted or special cable arrangements. DIN fuseways can also be offered. Generator connection point. Plug in point for temporary standby generators. Often it is uneconomic to have a permanent standby generator on site, it’s run very infrequently and has to be maintained. 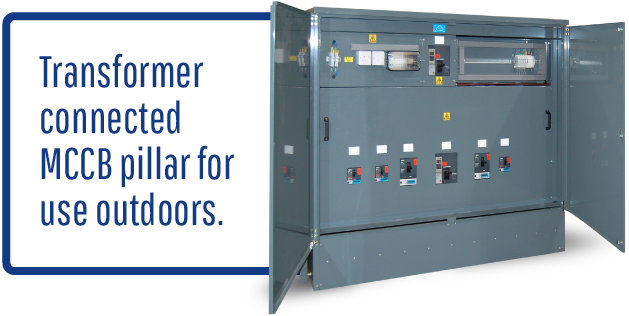 However it can also be inconvenient and expensive to have no power when the mains is lost for an extended period or maintenance needs to be carried out on the site transformer or MV switchgear. These units provide a quick connection solution for when a rental generator is required to supply the site, no more removing switchboard covers & cables to gain access to a connection point with the risks of these busbar connections or cable connections not being re-tightened correctly. They can also be used in a standard standby generator scheme for generator cover when the standby set needs to be maintained. Hallson GCP units are suitable for use outdoors and can either be wall mounted or floor standing. They are provided with a number of plug in connector units to enable quick safe connection of the generator tails. The plug in connection unit ensure that the earth cable is first to be connected and last to be disconnected, this ensures maximum operator safety. 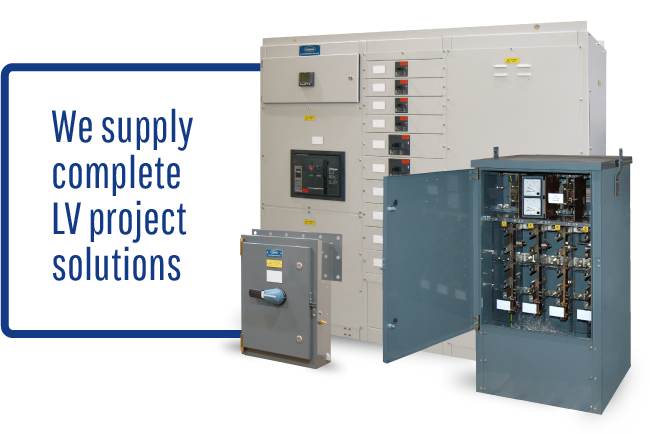 GCP units can be provided as an ‘engineered solution’ with additional extras such as start/stop single connection, generator auxiliary supply feed, Voltage sensing, Castell interlocking with the site incoming circuit breaker. Free standing outdoor feeder pillars. FS pillars are designed for outdoor use, they have a rain shed roof and lockable front door(s) dependent on the size of pillar. They are mounted remotely from the transformer and are cable connected. As these units are suitable for outdoor use they do not require a housing. The range of FS cabinets are available in a range of ratings from 800-3200A. Incoming devices can be ACB’s, MCCB’s or isolators. Outgoing devices can be ACB’s, MCCB’s, J type fuse ways or DIN style fuse ways. Engineered solutions for this equipment can include metering, generator supplies, ‘J’ type fuse carrier insulated bridges to ensure IP2X operator shielding when a fuse is not fitted or special cable arrangements. Outdoor freestanding pillars for use in the renewables sector complete with G59 protection. Our range of G59 pillars are designed for use in the renewables sector. The units are suitable for outdoors use and come complete with their own plinth ready for setting straight onto a foundation. The range is available in 4, 6 or 14 incoming ways and various ratings up to 2500A. The units are cable connected to the transformer which allows for connection to either a BS or IEC type transformers that are common in this sector. The incoming solar strings are connected to the 250A incoming ways and the grid is supplied via the outgoing grid connection ACB. 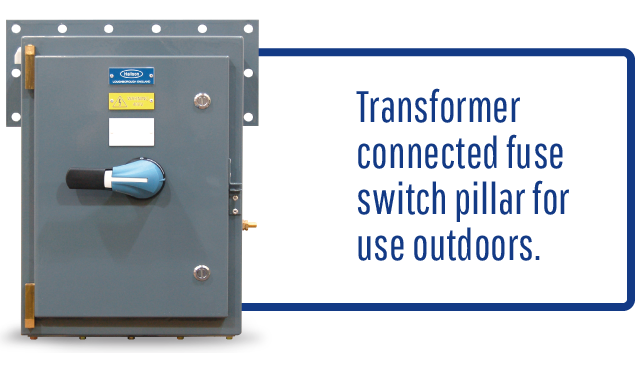 The outgoing grid connection ACB is supplied complete with overcurrent protection and a G59 protection relay. The ACB is arranged to automatically open and close via the G59 relay thus ensuring safe operation of the grid and park under G59 trip conditions. Included in the G59 scheme is all required test terminals, plug in test terminals and socket outlet for quick and easy commissioning of the G59 connection. 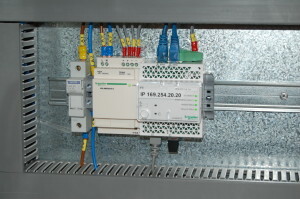 Engineered solutions are available to include metering and remote monitoring of the devices located within the pillar. Outdoor pillars to accommodate LV distribution equipment in the railway sector. Hallson rail supply pillars can be manufactured from a number of different materials, Zintec steel painted, stainless steel, hot dip galvanised steel or outsourced GRP. All pillars are provided with a treated plywood backboard with heater, thermostat and internal light. All equipment is mounted onto the plywood backboard. Distribution equipment can consist of MCB distribution boards, MCCB distribution boards or Hallson’s own industrial pattern or standard type indoor switchboards. We can also provide double sided pillars that have separate compartments for DNO equipment and customers equipment. Most of our customer have their own specific requirements for internal equipment requirements for these pillars, please contact us for more information and possibilities. Indoor LV switchboards with Forms of separation to Form 4 type 7. Hallson design and manufacture our own range of indoor LV switchboards from 400A to 6300A in forms of separation up to and including Form 4 type 7. Hallson LV switchboards are available with ACB, MCCB or fuse switches. Dependent on the customer preference all devices can be included. As standard our switchboards are painted RAL7035, however if a customer has a preferred colour from a standard RAL colour chart we can normally accommodate this request. Engineered solutions include metering systems (with or without connections to BMS systems), specific protection requirements, automatic change over systems, site specific interlock systems. A newly built substation constructed specifically to accommodate a switchboard is not always available, to help with having to work with these existing installations we can provide the switchboard in an ‘L’ or even ‘U’ shape to ensure that the unit fits the available space. Want to save money by not having transformer to LV switchboard tails? Why not connect the switchboard directly to the transformer (either cast resin or oil filled)? 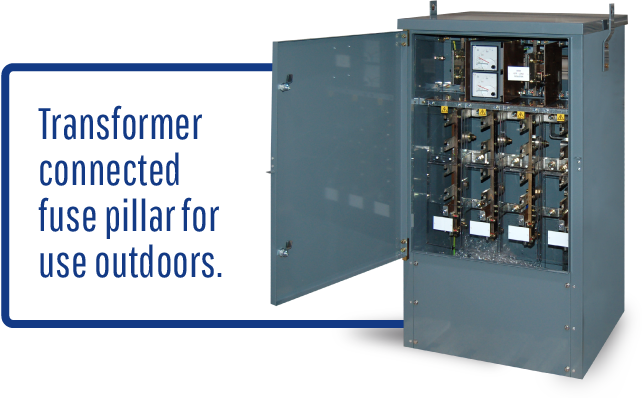 We produce a range of switchboards that can be provided with a trunk connection to connect to the transformer. Power factor correction is an increasing requirement to save energy these days. 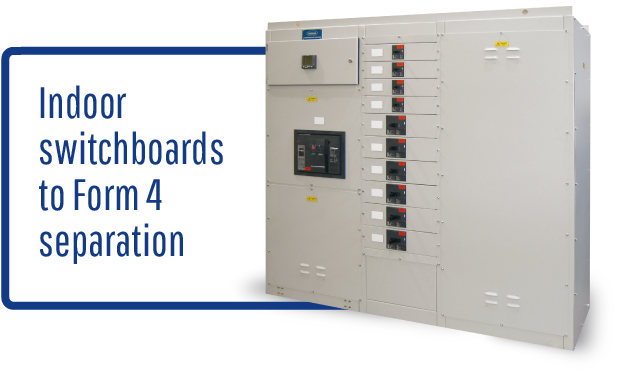 Hallson can provide a switchboard solution that includes power factor correction. The PFC units can be supplied either as a standard unit or alternatively a detuned unit when harmonics are present. Another development of the PFC unit is thyristor switched units, these units once running produce no lag on the PF correction and provide almost constant PF values. The requirement to identify and quantify energy usage on sites is becoming more important these days to reduce bills and CO2 emissions. However traditional metering systems normally require additional costs by needing BMS system and can only give the user electrical information on the system. Often the additional costs alone makes metering of a system uneconomic for the medium / small user. Wouldn’t it be ideal if you could connect your switchgear to your Ethernet data system in the same way that you do a printer? Also wouldn’t it be a good idea if someone developed a system that can also give you details on the devices in your switchgear? Like how are they running, are they going to need maintenance in the near future? Sound like a wish list doesn’t it? Well there is a solution. Hallson are a Schneider Electric Enerlin’X partner. 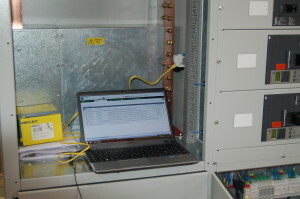 The Enerlin’X system offers metering and device monitoring in a simple cost effective solution that can be easily connected by it’s own IP address to your site Ethernet system. No software is required and devices can be set up to send email alerts to engineers so that any problems or potential problems can be addressed quickly and efficiently to keep disruption down to a minimum. Don’t have an Ethernet system or want to monitor your sites from a remote location? Not a problem. Local colour touch screens fitted to the equipment gives you all of the information that you require to keep your equipment running. Schneider Electric Energy Insight application uses a GPS connection to present all of the information gathered from the equipment and presents it in a webpage accessible only by you. This information is presented to help you identify usage and maintenance schedules. Schneider Electric Enerlin’X can be retro fitted into existing panels that contain Schneider Electric NS/NT/NW ACB’s and NSX MCCB’s. Call one of our customer service team today on 01509 211 330.